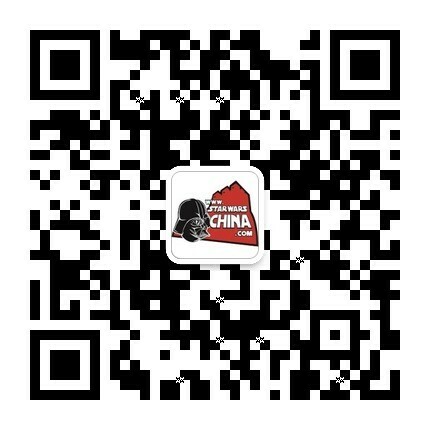 ﻿﻿ Y翼星际战斗机（Y-wing starfighter） - Databank - 星球大战中文网 Star Wars China - Powered by Discuz! Growing increasingly outdated with the advent of sleeker, more powerful starfighters, the Y-wing will nonetheless stand proudly when history recalls its important role in the Rebel Alliance. Y-wing starfighters hold the dubious record of being the most-destroyed military vessel in the Alliance arsenal. This is not due to any design flaw in the Koensayr starfighter; rather it is the result of it being the most common starfighter the Alliance had at its disposal during the Galactic Civil War. The Y-wing was the "work horse" of the Alliance starfighter arsenal. Despite many variants, all Y-wings have the same basic configuration. At the front of the craft is the wedge-shaped cockpit module. A reinforced central spar connects the cockpit to a cross-spar. At each end of the cross-spar rests a powerful engine nacelle, which houses the fighter's sublight and hyperdrive engines. Each nacelle is topped with sensor arrays. Three repulsorlift engines propel the craft in atmosphere, and support it for in-hangar maneuvering. A tiny joystick both in the cockpit and outside under the nose allow ground crew or pilot to move the vessel about when parked. The initial BTL-B bomber was a double-seater craft with a forward-facing pilot, and a tailgunner in a rotating bubble turret. The Rebel Alliance maintained two basic types of Y-wings, the single-seater BTL-A4 and the double-seater BTL-S3. In the two-seater S3, the gunner sits facing rear, controlling the turret-mounted ion cannon. Both pilot and gunner are protected by a pair of Koensayr ballistic ejection seats that automatically eject both crew members. The A4 features Guidenhauser ejection systems like their X-wing counterparts. Just aft of the cockpit module is an astromech socket. Typically, an R2 or an R4 unit provide astrogation assistance in the S3 model. The Y-wing BTL-A4 (LP) Longprobe variant does have an astromech socket, but is also equipped with a navicomputer. The Y-wing S3 has a cargo capacity of 110 kilograms carried in .4 cubic meters. It has a total of one week of life support and fuel for non-combat operations. The Y-wing Longprobe is modified for deep-space missions with longer in-flight time, providing three weeks of consumable supplies. The Longprobe has 80 kilograms of cargo capacity. The twin massive Koensayr R200 Ion Jet engines (rated at 250 KTU) propel the starfighter in real space, and each ion fission engine nacelle is topped with sophisticated sensor arrays. In an atmosphere, these engines work in conjunction with recessed repulsorlift generators to attain speeds of 1,000 kilometers per hour. The Y-wing's maneuverability comes from a pair of thrustor control jets in the aft-face of the central spar. Additional agility is afforded by disk-vectrals set in the end of the engine nacelles to redirect thrust. The Y-wing's R300-H hyperdrive motivator yields a Class One performance on standard astrogation routes. The S3 model does not have a hyperdrive backup. In the A4 Longprobe, the gunner's station is replaced with a nav-computer and backup systems. The slower backup is equivalent to a Class Six hyperdrive. Hyperdrive, repulsordrive, and sublight systems are controlled via the Subpro NH-7 flight control avionics package. The Y-wing draws power from Thiodyne O3-R cryogenic power cells which fuel the internal ionization reactor. The Y-wing's primary weapons are twin forward-firing Taim & Bak KX5 laser cannons, which can be fire-linked or fired singly. They are housed in a recessed slot in the front of the cockpit module. Some fighters instead carry Taim & Bak IX4 models. These lasers are fed from a Novaldex power generator in the central spar by exposed but shielded power lines. A secondary weapon is a turret mounted paired set of ArMek SW-4 ion cannons. In the A4, these weapons are preset in one of four fire arcs before flight, and operated by the pilot. In the S3, a tailgunner operates the ion cannons,in the rear-facing gunnery station. Providing a heavier punch at longer ranges is a pair of Arakyd FlexTube proton torpedo launchers below the cockpit module. These torpedoes are fed by two four-torpedo magazines. The BTL-B bomber also featured a proton bomb bay. The Y-wing's weapons are controlled by a Fabritech ANc-2.7 tracking computer with a SI 5g7 "Quickscan" vector imaging system. Like its X-wing counterpart, the Y-wing features an extendable targeting mask that covers a pilot's eyes for pinpoint accuracy at high speeds. These targeting systems receive data from the primary sensor threat analysis grid, housed in the main cockpit section. This is a short-range PG-7u unit. For longer range information, the Y-wing employs a matched set of ANx-y sensors with PA-9r phased tachyon detection arrays mounted under sensor-transparent domes atop each engine nacelle. Engine vibrations often hamper sensor alignment, but skilled operators can compensate accordingly. Covering the Y-wing with defensive energy are a set of Chempat shield projectors. The shield generator in the A4 Longprobe provides weaker coverage because shield energy is diverted to supply the hyperdrive backup and navicomputer systems. Perhaps the one thing fighter jockeys on both side of the war will agree on is that the Y-wing can take a beating. Its durable titanium reinforced Alusteel alloy hull proved a surprise to early enemy pilots, who confident that they had lined up the Y-wing in their targeting crosshairs, failed to destroy it with a snap-shot. Only by repeatedly dogging the Y-wing will lasers cut through its hull. The A4 model has slightly stronger armor. This reputation for being tough and stubborn, as well as its ground-hugging attack bomber mission profiles, have caused faster fighter pilots to nickname the Y-wing a "wallowing pig." The Y-wing fighter rose to prominence during the early stages of the Clone Wars, when Koensayr -- a corporation allied to the Republic -- developed a dependable bomber that could deliver more destructive power than the typical Torrent V-19 interceptor or the Jedi starfighters of the day. Koensayr testing facilities could barely keep up for the demand on the fighter, which were rushed into service on bombing runs at Gwori and in defense of Kaliida Shoals Med-Center. Notable Y-wing units of the era include Shadow Squadron and Hunter Squadron. Predating the Incom X-wing, the Koensayr Y-wing figured prominently in the Rebellion's early skirmishes of the Galactic Civil War. They proved their value in the Battle of Vnas at Duro, and the Battle of Ord Biniir. During the Siege of Ank Ki'Shar, Y-wing fighters saved thousands of lives by holding off attacking TIE bombers. And during the Battle of Yavin, and the Battle of Endor, Y-wing squadrons were influential in helping fend off the Death Star threats. A Y-wing brandishes its squadron colors and markings on its main cockpit module and the forward tips of the engine nacelles. The Y-wing is designated an attack fighter, giving it a wide range of combat applications. Capable of respectable performance in one-on-one fighter engagements, its durable spaceframe is also well-suited to carry heavy-armaments. With little to no modifications, many Rebel Alliance units use Y-wing fighters for bombing craft. In the later years of the Galactic Civil War, Y-wings began to be replaced by B-wing starfighters. This newer fighter boasted similarly strong shields and hull, and devastatingly powerful projectile, laser and ion weaponry. The B-wing did not completely replace the Y-wing, however. Y-wings were relocated from front-line combat service to base protection and on raids on outlying Imperial convoys. Many Y-wings were pushed into courier duty for Intelligence services. This is where the most interesting Y-wing variants could be found. Some courier Y-wings did away with the ion weapons, replacing the cannon power systems with luggage space. These fighters featured special split-canopies for faster ingress or egress when landed (or even, as reported by some, high-altitude exits!) 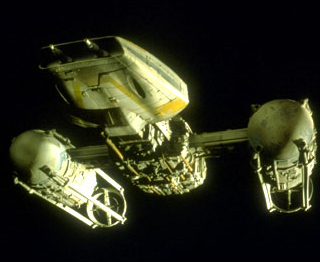 Some modified Y-wing fighters have detachable cockpits that served as repulsor-powered escape vehicles. Y-wing componentry has made itself into other Alliance hardware. The cockpit of the modified T-47 snowspeeder is a modified Y-wing fighter cockpit refit. This expedites training due to the familiarity most pilots have with the control layout. The T-47 also features refitted sections of Y-wing armor along its hull. A short-lived venture between Koensayr and Rendili StarDrive produced an enlarged Y-wing fighter capable of housing a crew of up to four people, but these models are rare. Because only a trio of Y-wing ever shared the screen in the original Star Wars, the ILM modelmakers concentrated their efforts on the scene-stealing X-wing, building the venerable Y's in smaller numbers. 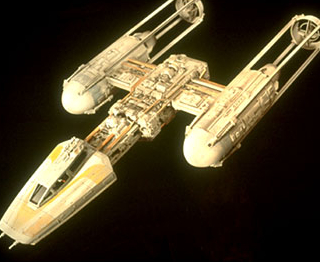 Model-makers David Beasley, Steve Gawley, and Jon Erland worked on the original Y-wing, which was based on a Colin Cantwell design. 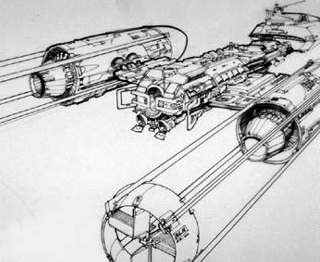 The early Cantwell concept models built of the Y-wing featured an immense bubble turret dome for a gunner to sit in. The limitations of bluescreen technology at the time made such a dome impractical --- it would be impossible to shoot a miniature with a clear dome and have that dome register properly on film after composite processing. Subsequent iterations of the Y-wing concept did away with the fragile-looking compartment. When Joe Johnston refined the Y-wing for construction as a visual effects model, he posited that the Y-wing was once a sleek vessel that was chopped and stripped like a hot rod by Rebel Alliance technicians. The Y-wing's sole remaining touch of sleekness was the smooth shape of its cockpit. That section was a rare early instance of injection molding, allowing it to be "cleaner" than some of the more complex forms seen in the film. This uncluttered wedge-shaped front section quickly trailed off into a crossbar of jumbled plumbing, filled with kitbashed detail. The massive engines were sections of Apollo Saturn V rockets, 1/144 scale; the domes capping them were pantyhose containers. Of the small pool of Y-wings built for Star Wars, one was given to Twentieth Century Fox executive Alan Ladd, Jr. as a gift. When it came time to do Return of the Jedi, new "hero" Y-wing models were needed for screen use, so model-maker Bill George brought in a home-made model he had built before he had even started working at ILM. It is now part of the traveling museum exhibit of original trilogy models. For the Y-wing's triumphant return to the screen in the animated television series Star Wars: The Clone Wars, designer Russel Chong spearheaded the ship's development. "The Y-wing was a really fun project, bringing it back fully faired," he says. "We back-engineered the Y-wing and turned it back into a bomber. I took the actual model of the Y-wing from the files at Lucasfilm, and I overlaid our new version. We revitalized the bubble turret that Colin Cantwell and Ralph McQuarrie had developed. All the body panels are very much the same as the original Y-wing. I did my best to give it the same styling and the same look as the original Y-wing."